Robotiq’s Newest Solutions Unlock More Cobot Applications - Allied Automation, Inc.
Say hello to AirPick, EPick and the Robotiq Sanding Kit, our newest products for manufacturers looking to automate packing, palletizing, and sanding applications. With these innovative tools, manufacturers no longer need to invest in expensive and complicated custom-designed solutions. 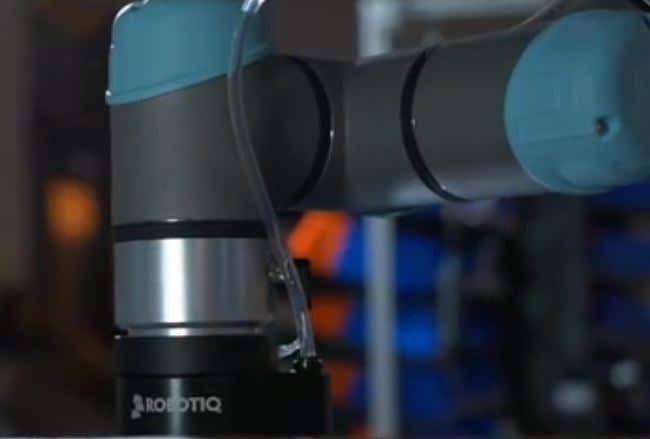 Robotiq shook up the cobot industry with the release of their Adaptive Grippers over 6 years ago. Now, with the addition of AirPick and EPick to the Robotiq Gripper family, they’ve expanded their lineup of reliable, high-quality grippers.